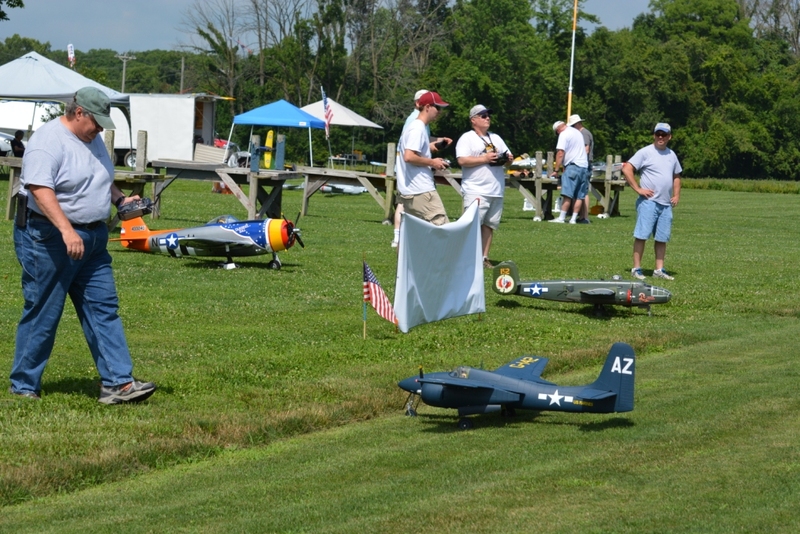 We endured a hot and humid day, however, we still had lot's of planes and lots of flying. 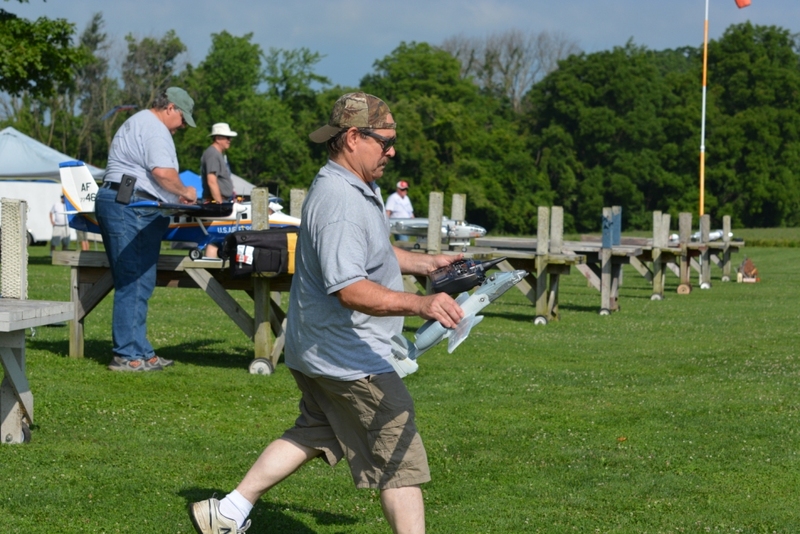 The first huge thank you is to Brian Aimer and John Killinger for handling the grill duties, 72 hamburgers and as may hot dogs. 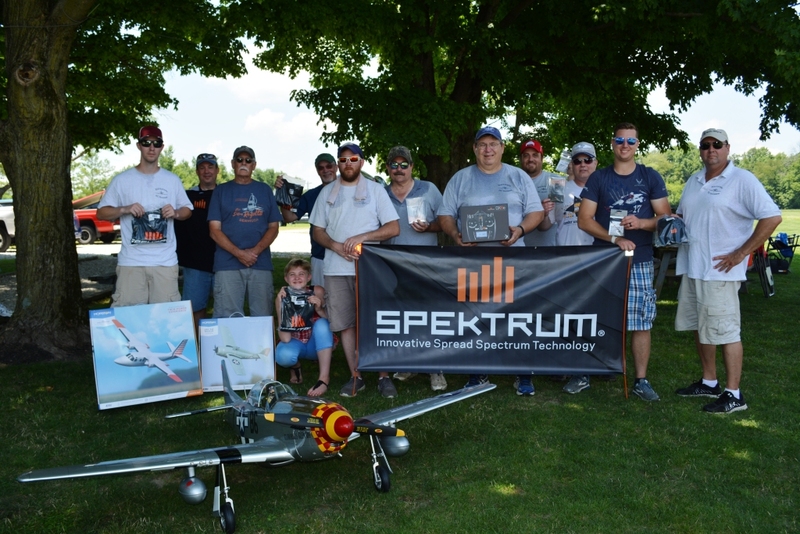 When you think rc products, think Horizon Hobby and Spektrum, our platinum event sponsor. 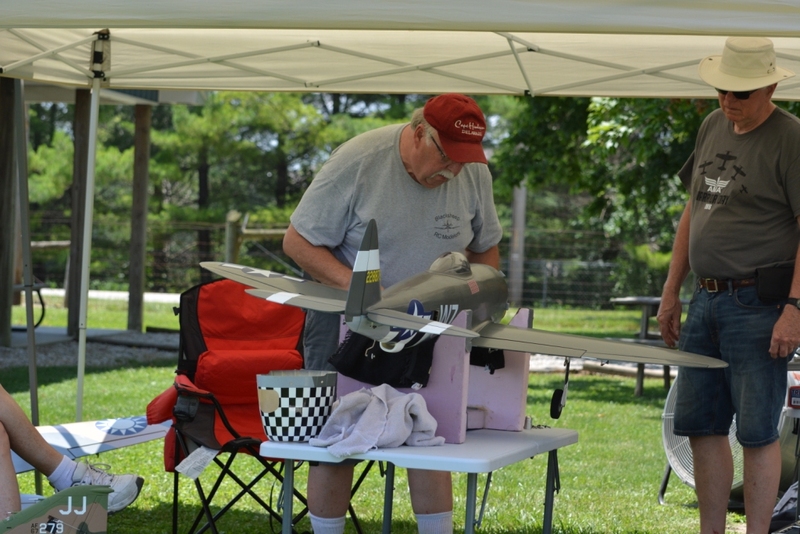 Other event sponsors include Bob Smith Industries, Hall Aviation, Joe Miller, Ron Thompson, Balsa USA, Sig RC and APC props. 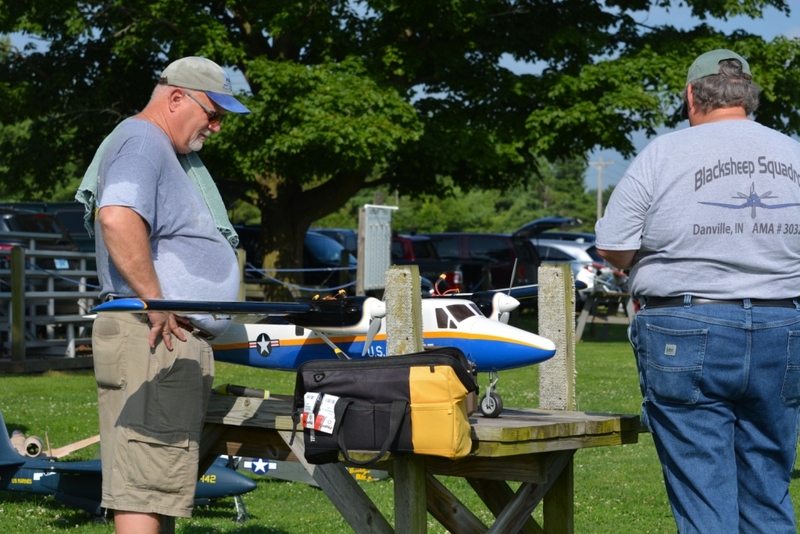 We had many nice models today and as stated above, lots of flying, food and many guests to enjoy the cool flying and hot temps. 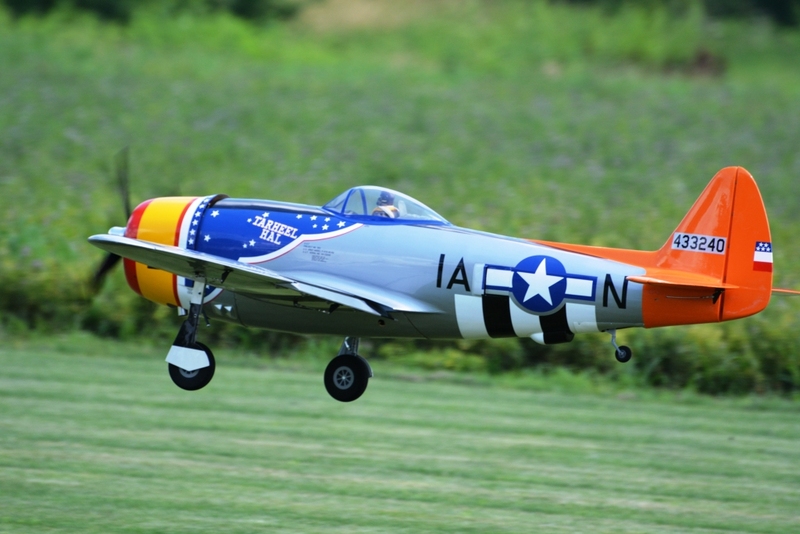 Warbirds from WWI to modern day and micro to giant scale, all flying today. 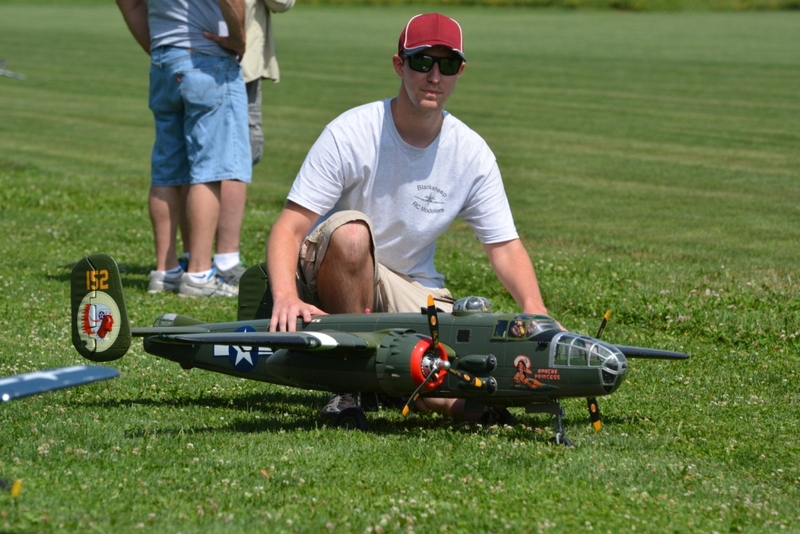 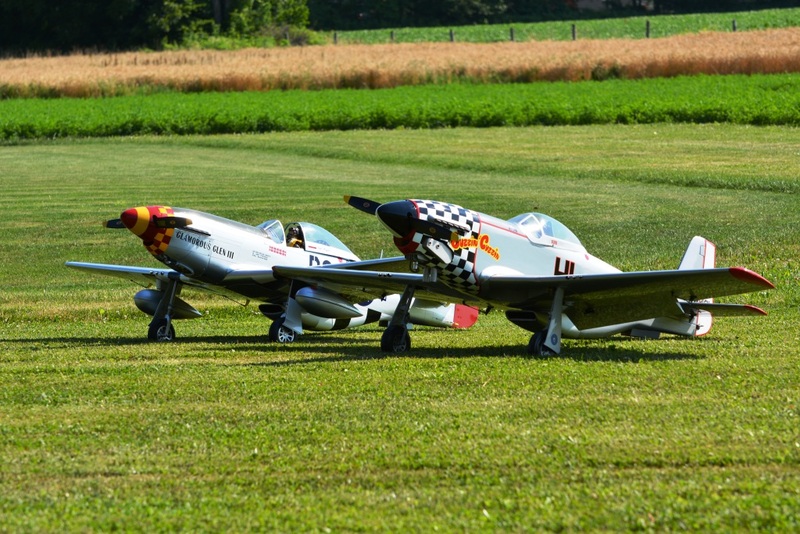 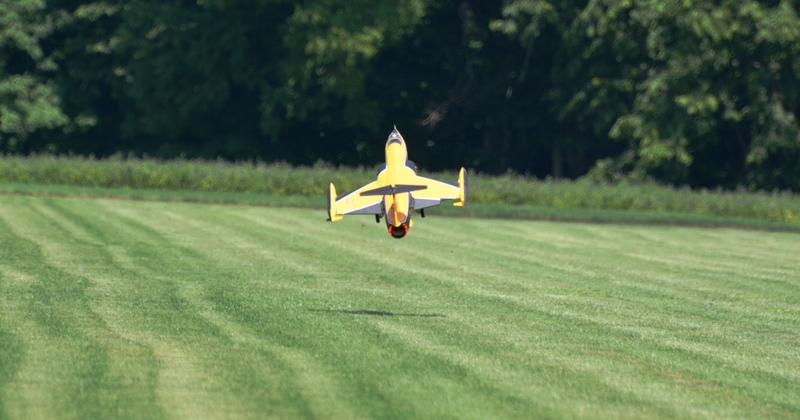 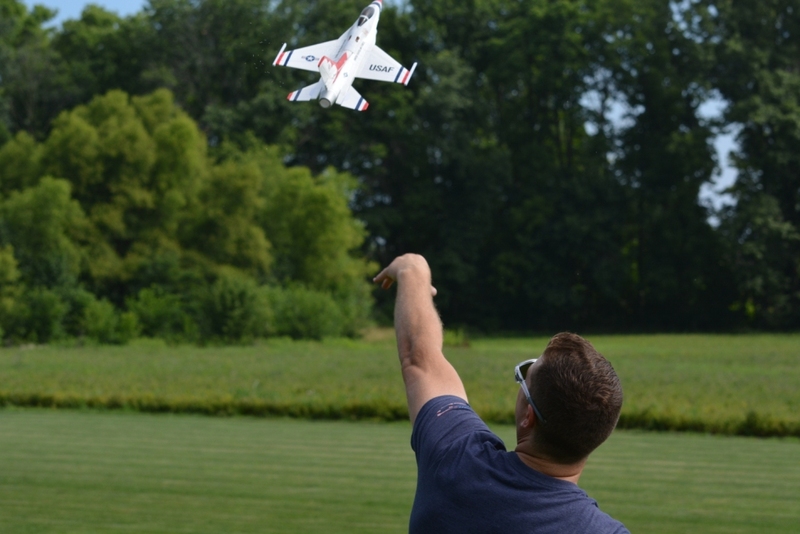 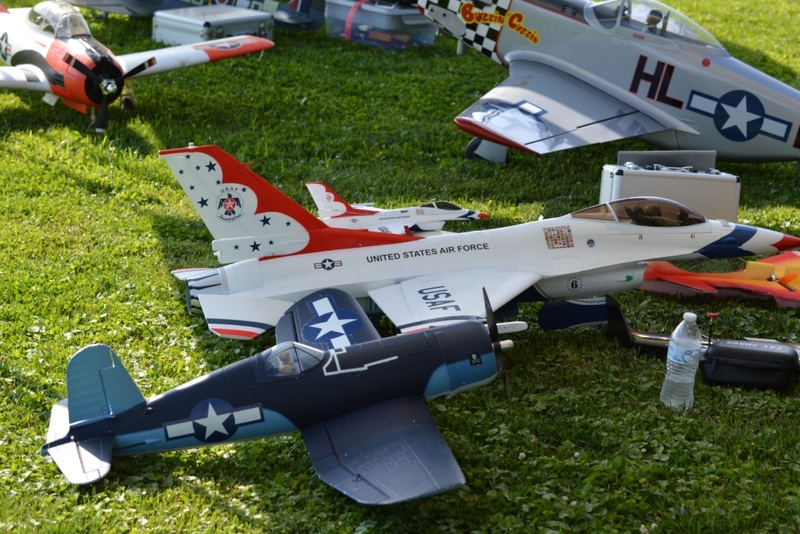 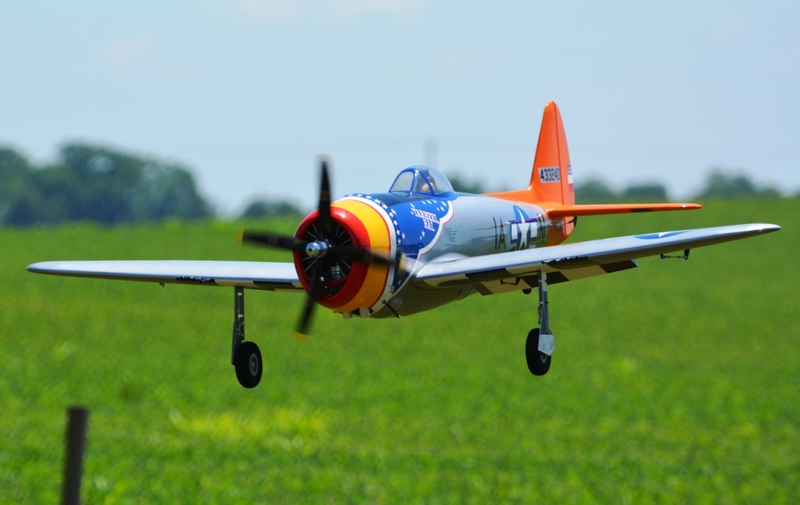 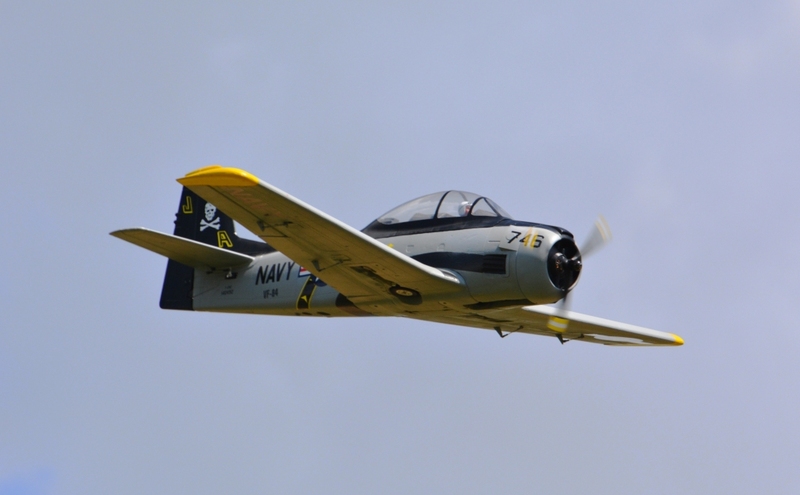 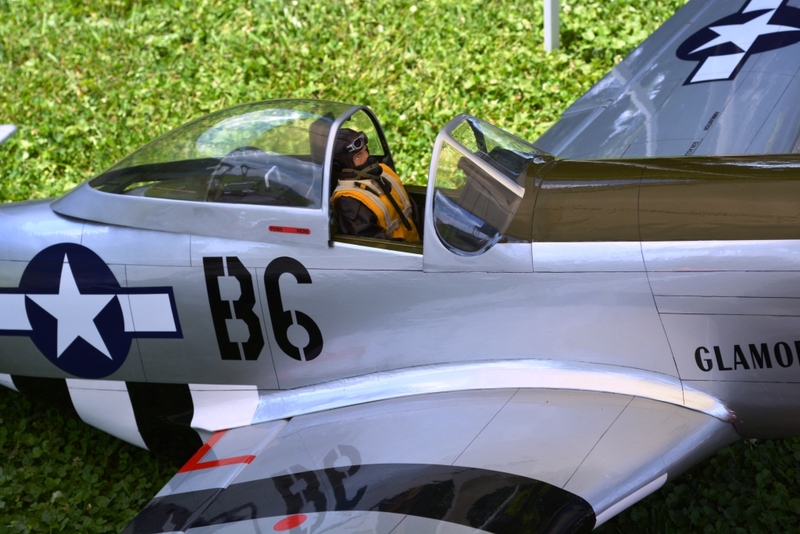 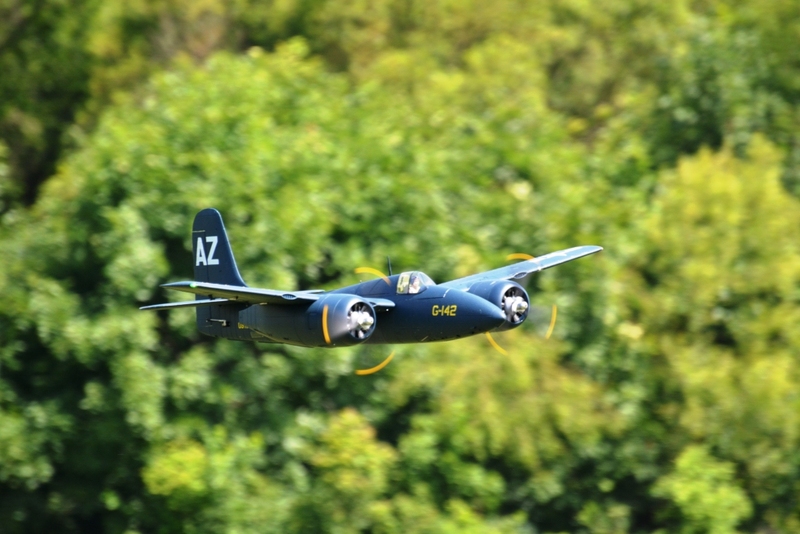 We had a bomber gathering, a T-28 gathering and a EDF gathering featuring Motion RC EDF jets. 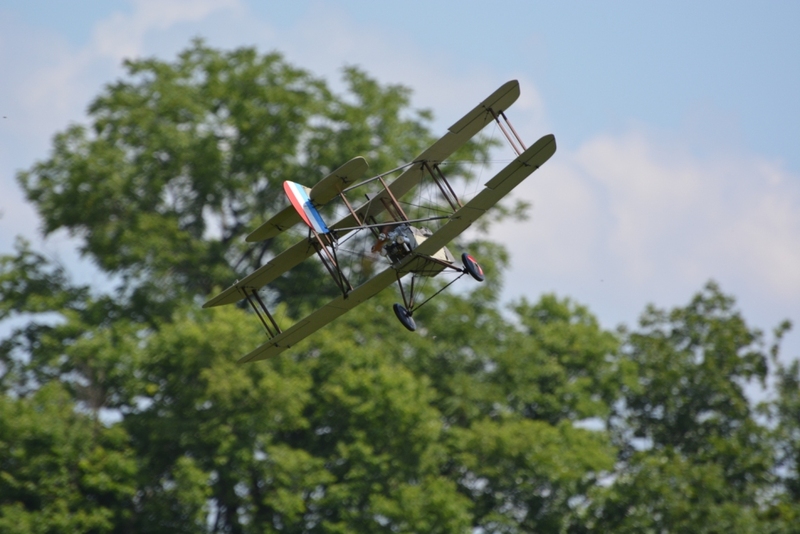 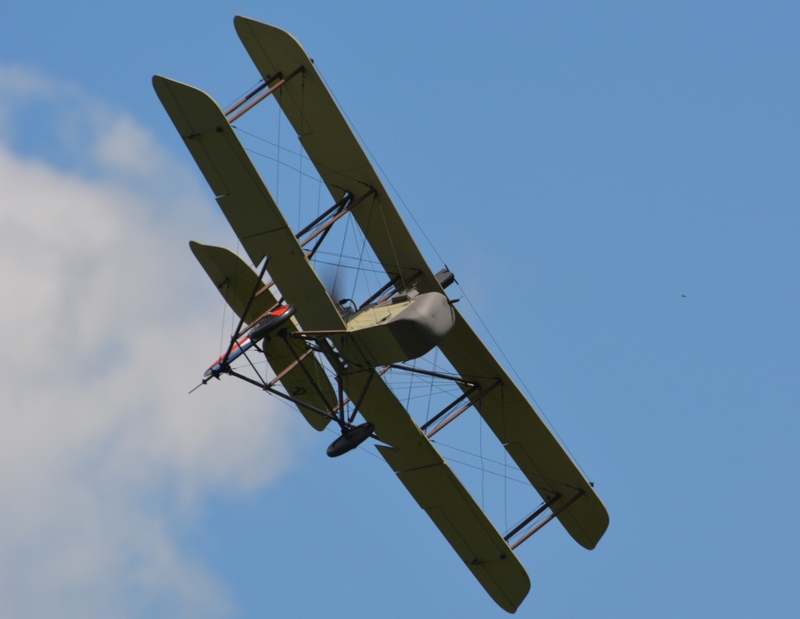 It is always a treat to see Mika Woodward's scratch built WWI DH1 biplane flying, it was our Directors Choice last year. 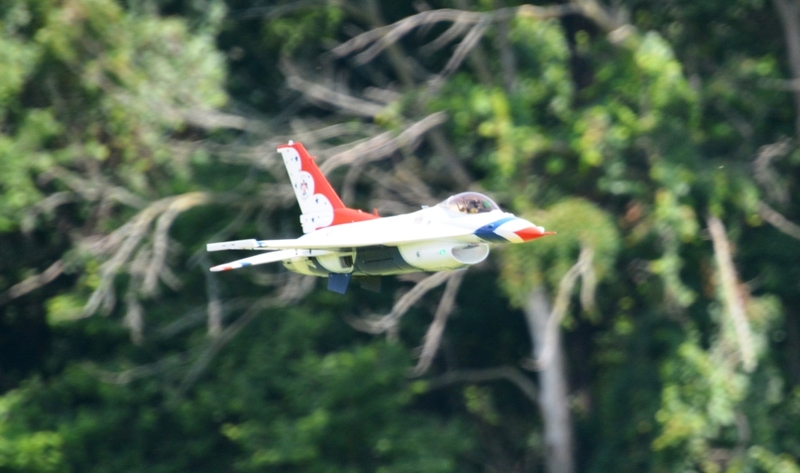 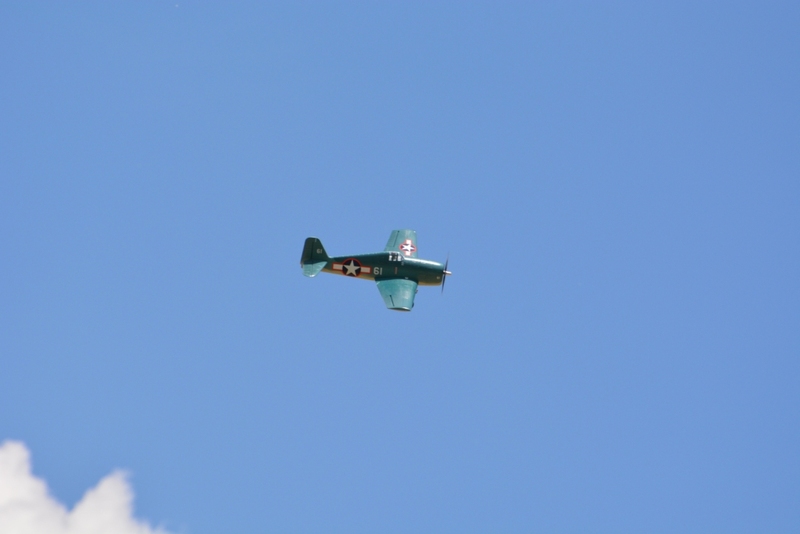 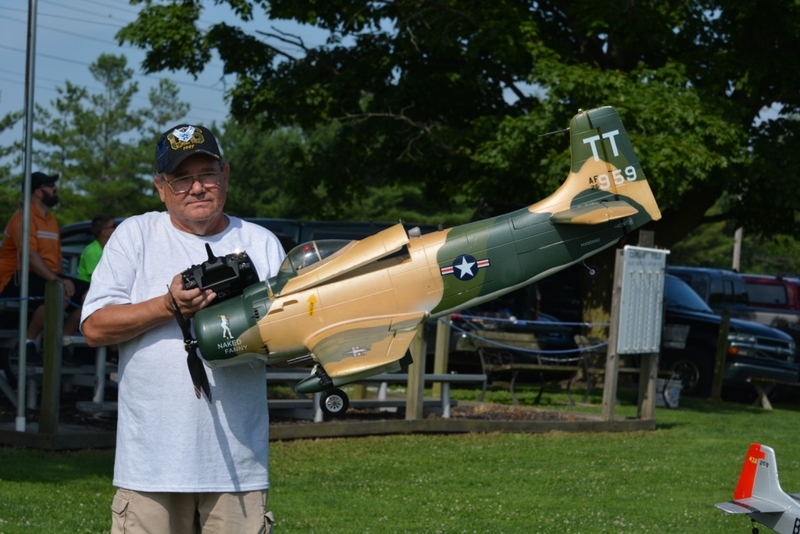 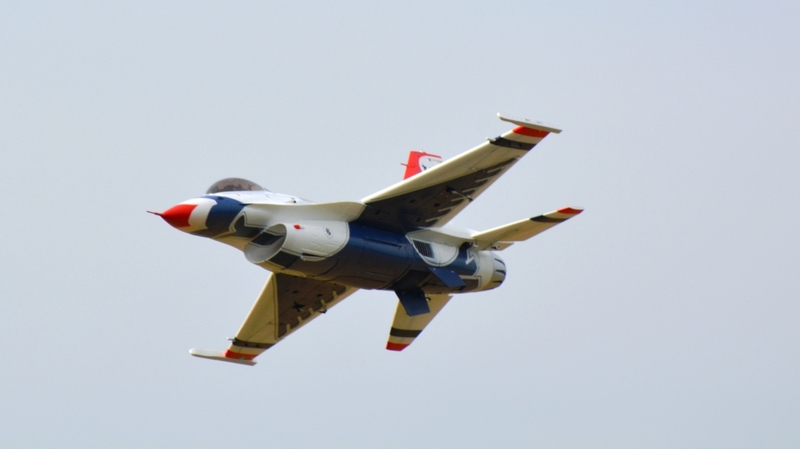 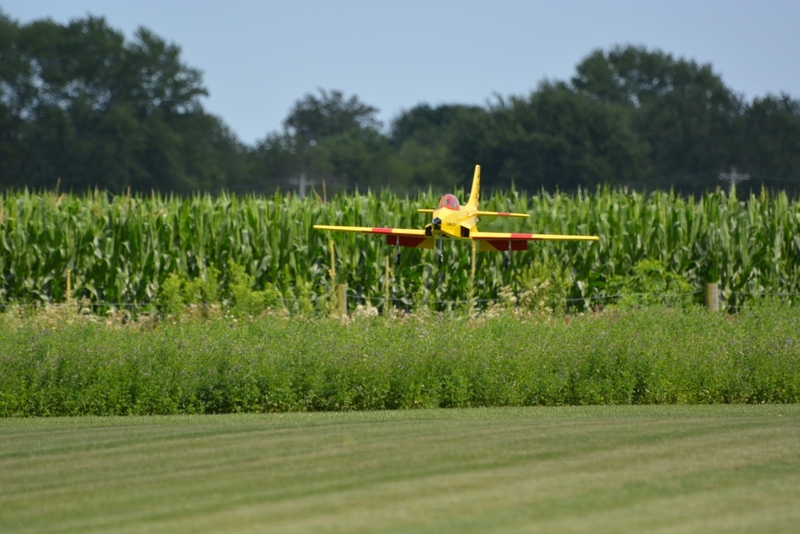 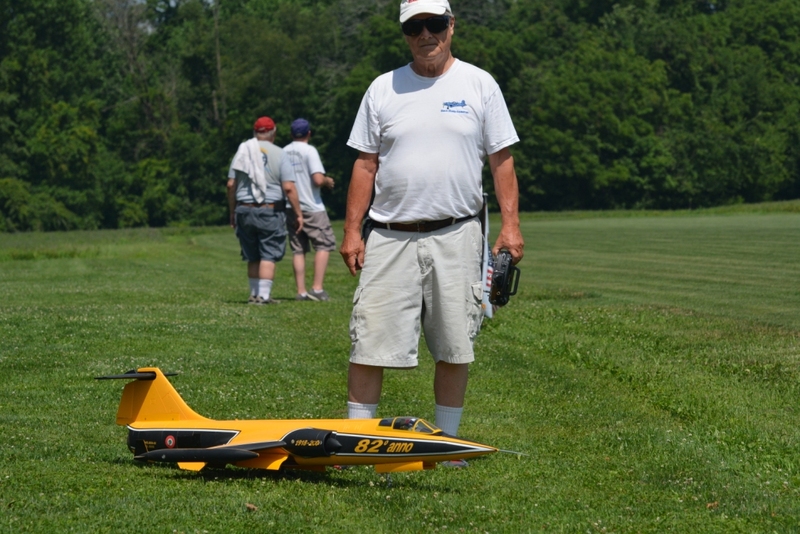 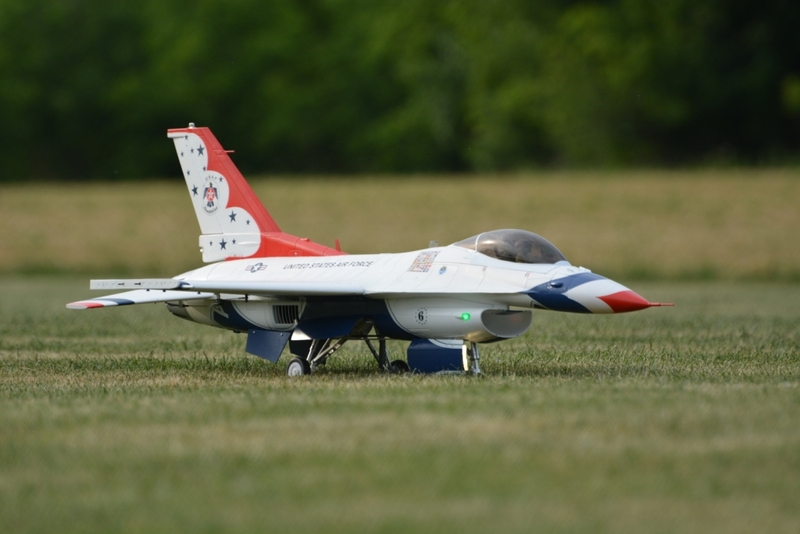 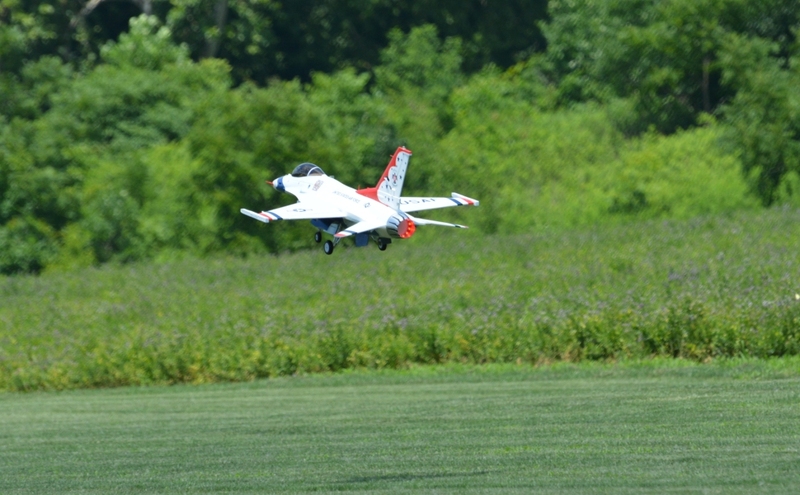 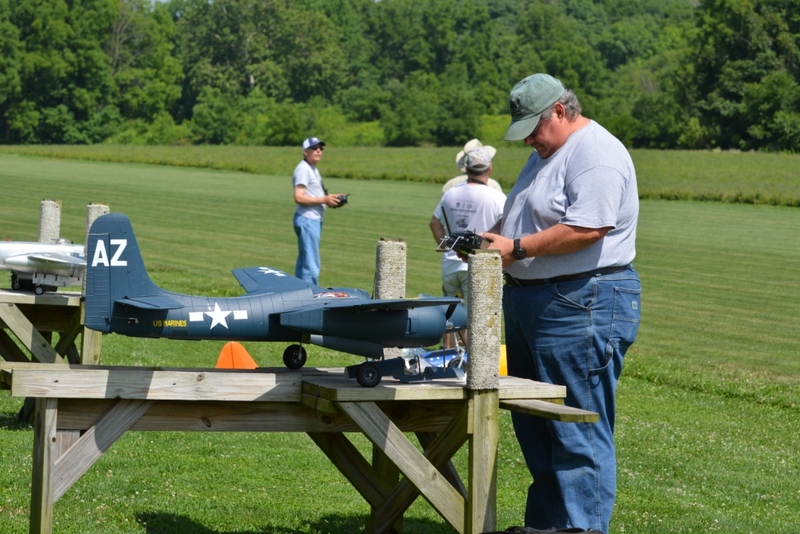 Rege Hall's turbine powered Turbinator jet provided may spectators the opportunity to see a rc jet fly for the first time. 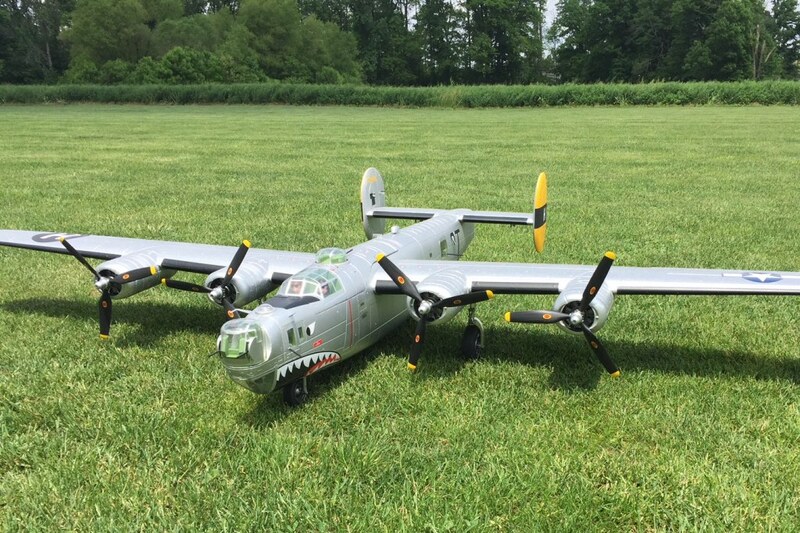 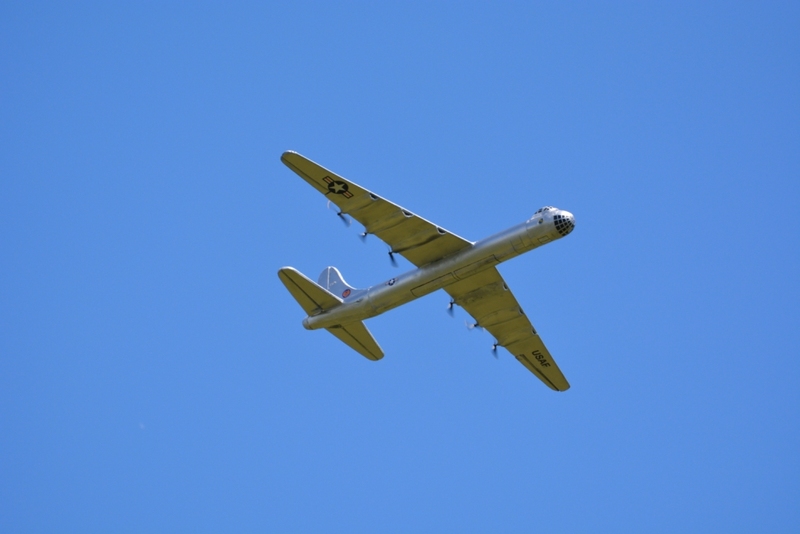 May twin engine and four engine aircraft and even a B-36 took to the skies. 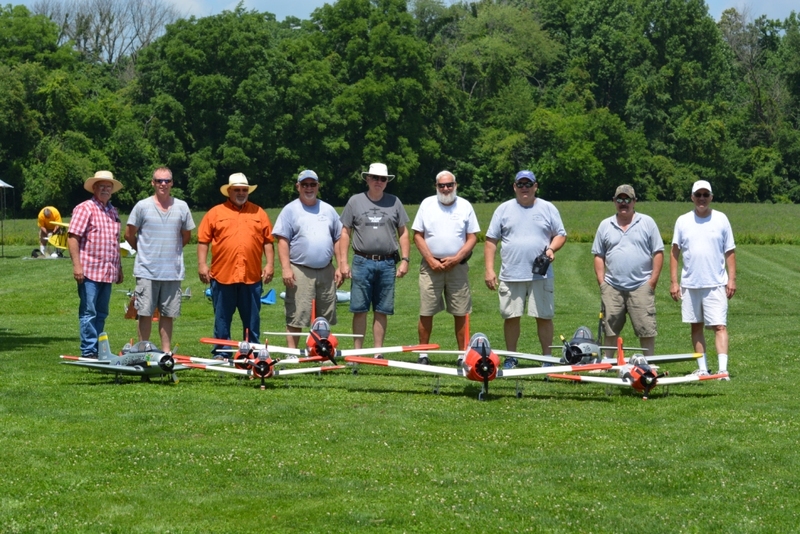 This was also a year of EDF's ranging in size from micro to larger 6 and 8 cell EDF's. 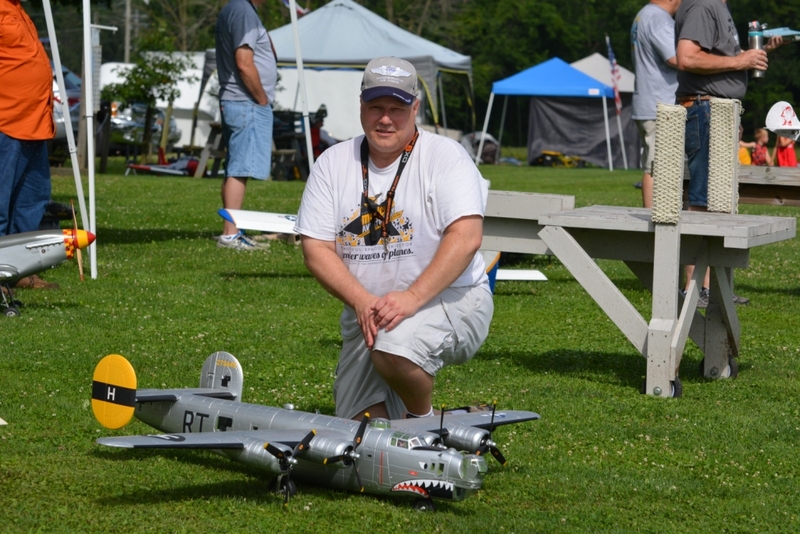 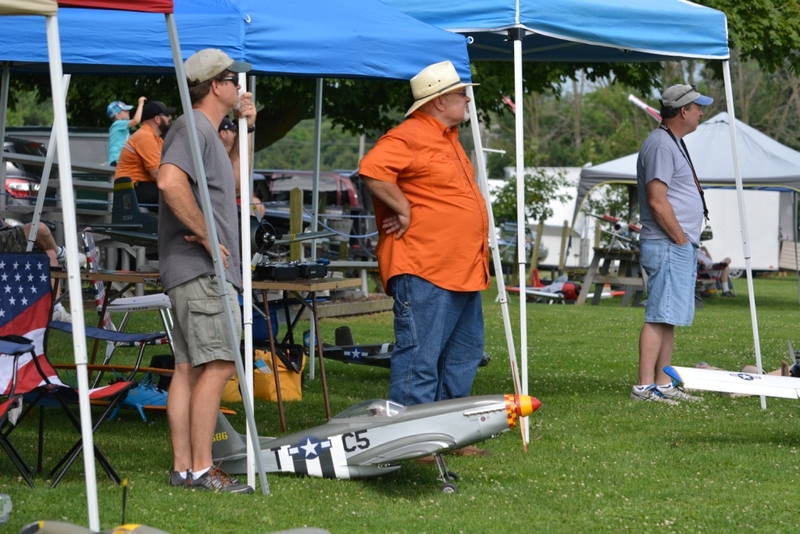 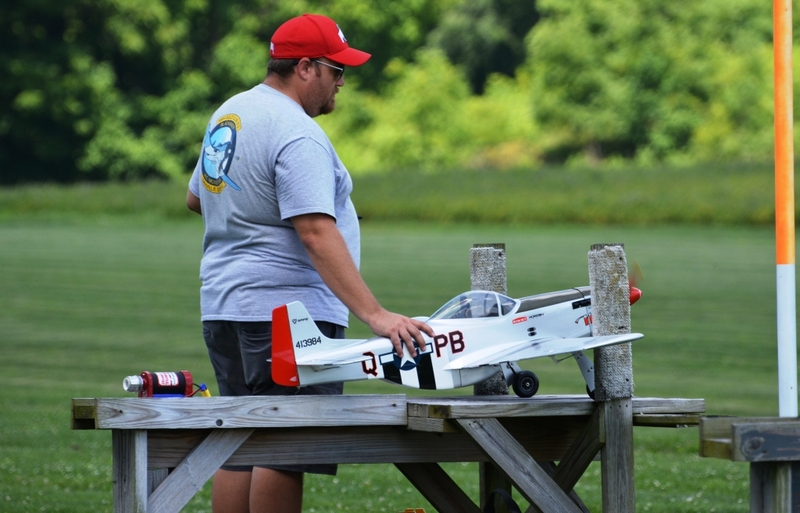 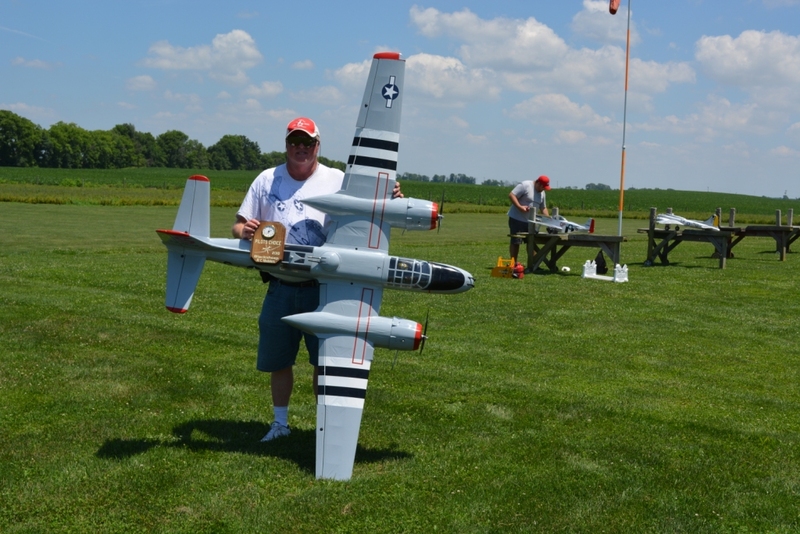 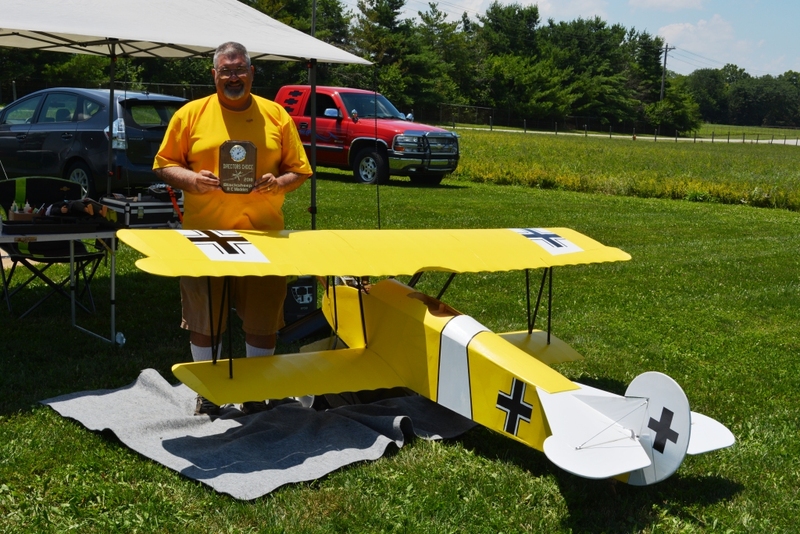 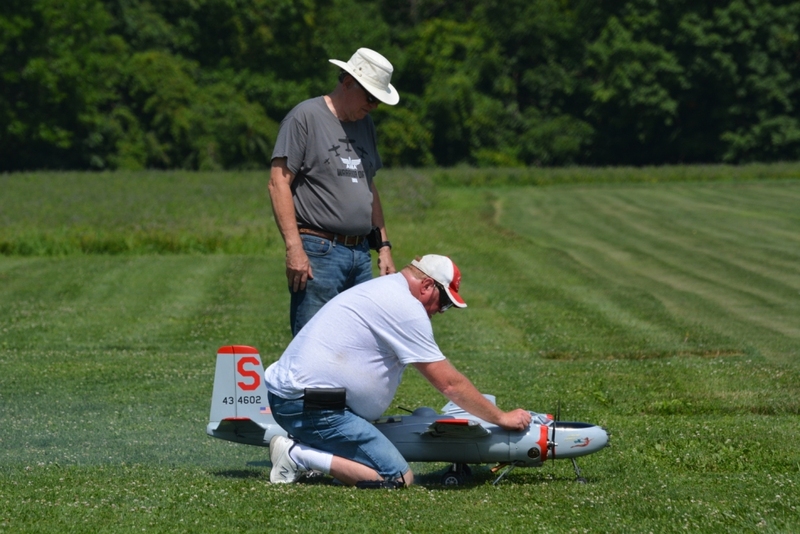 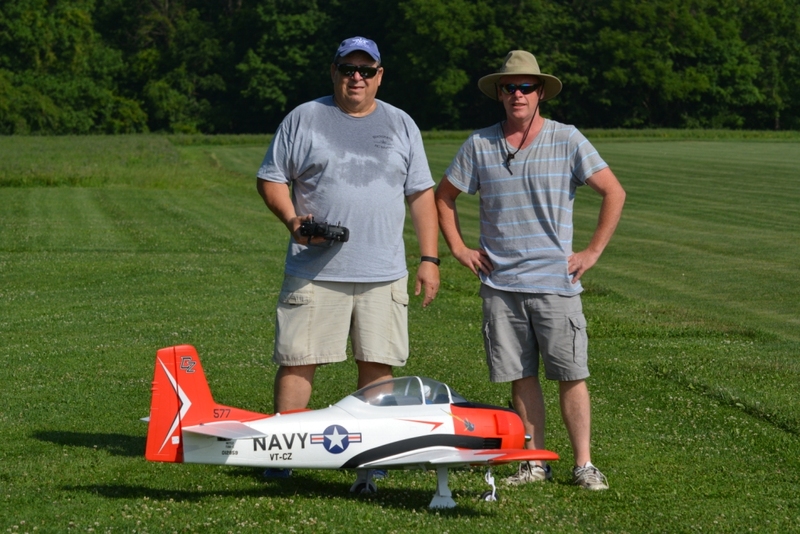 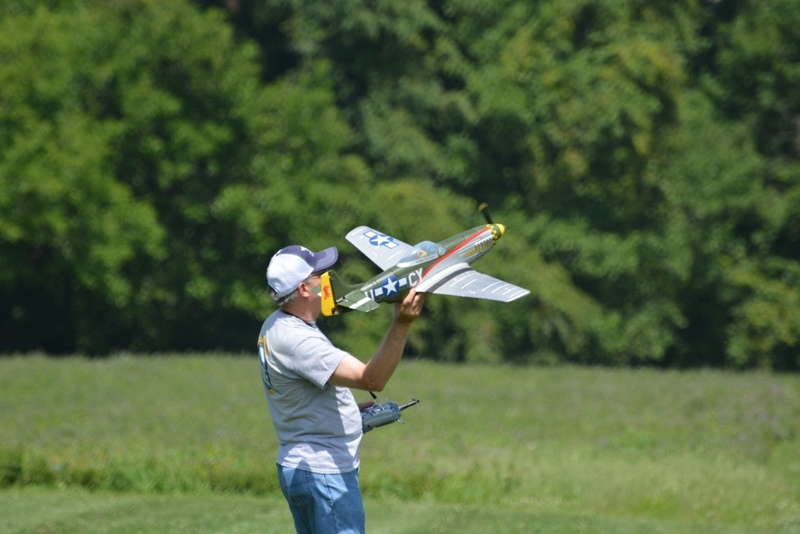 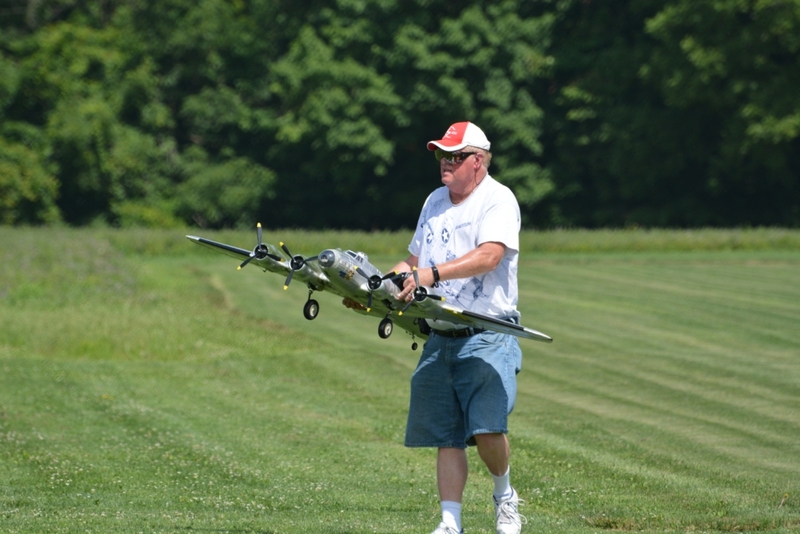 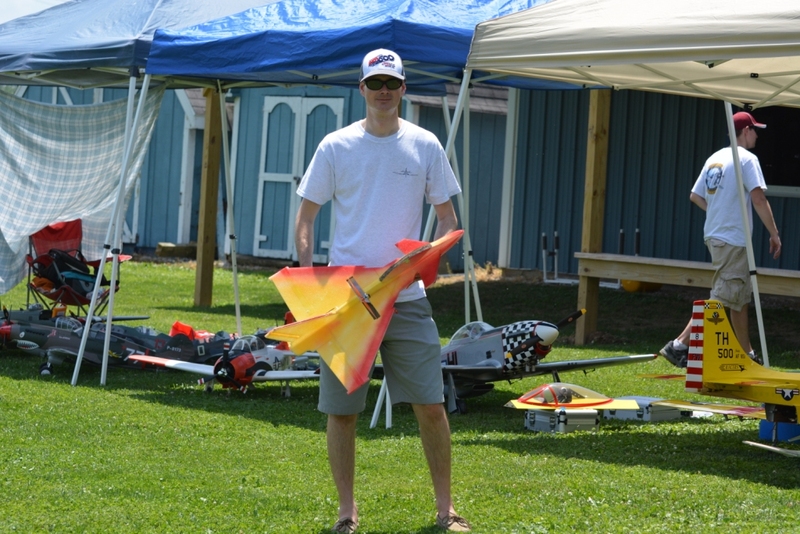 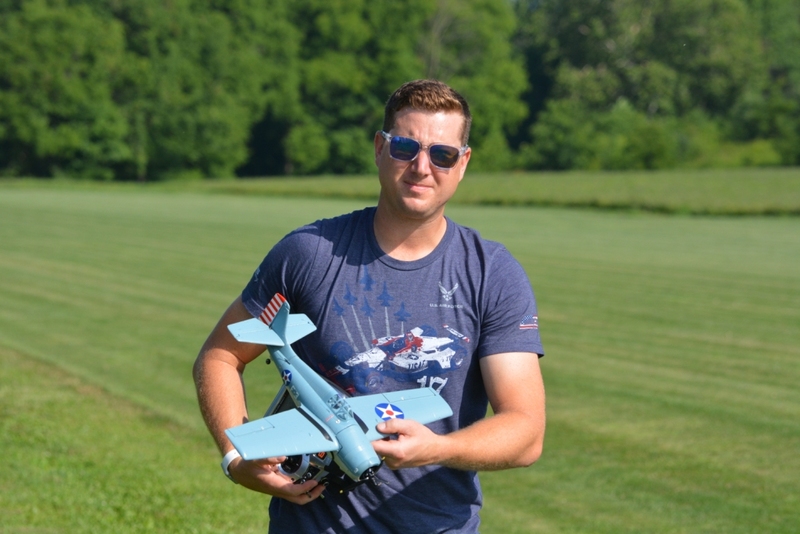 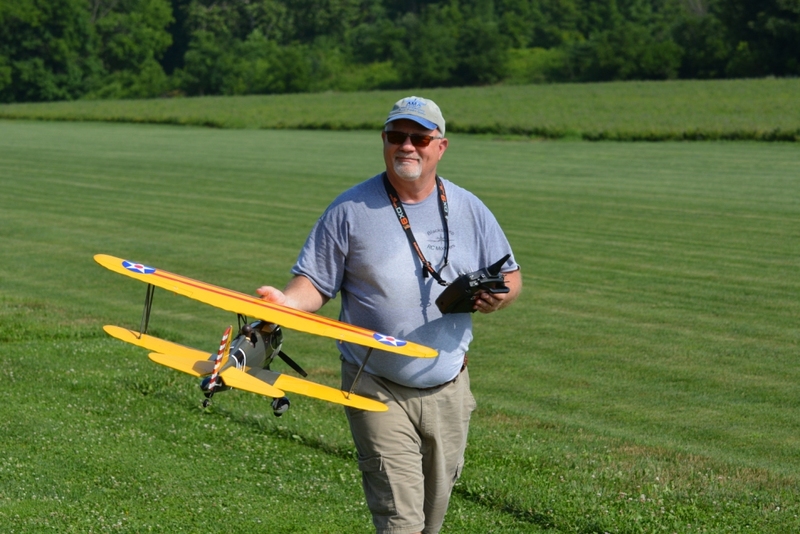 Our Directors Choice this year was Stephan Woods' large Balsa USA Fokker DVII. 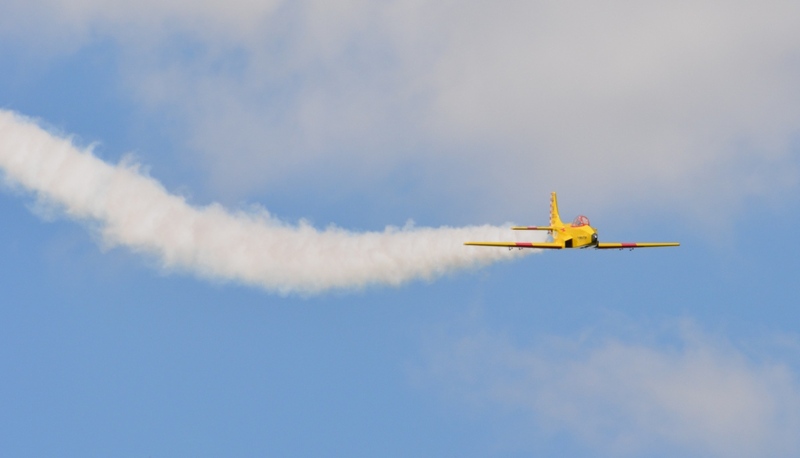 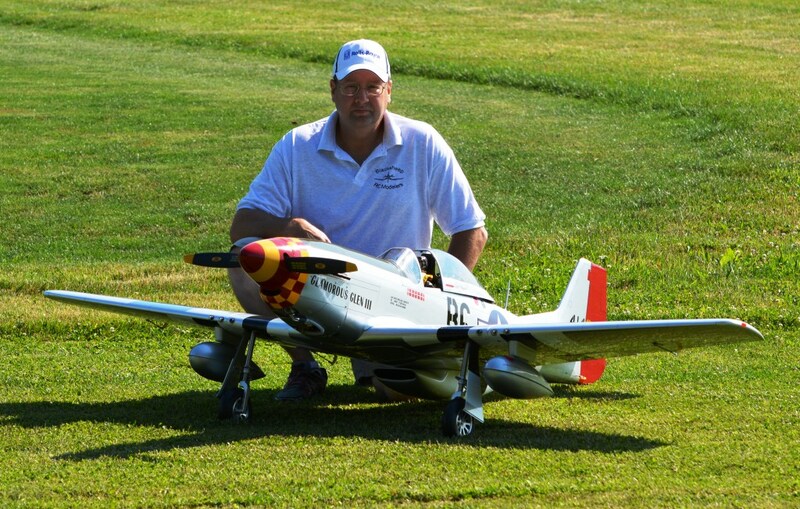 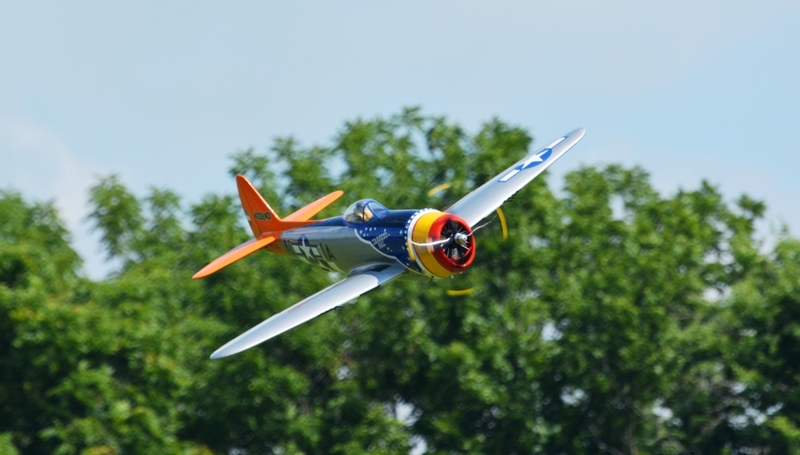 Pilots Choice was John Lawyer's phoenix A-26, a rare plane as it was nitro powered! 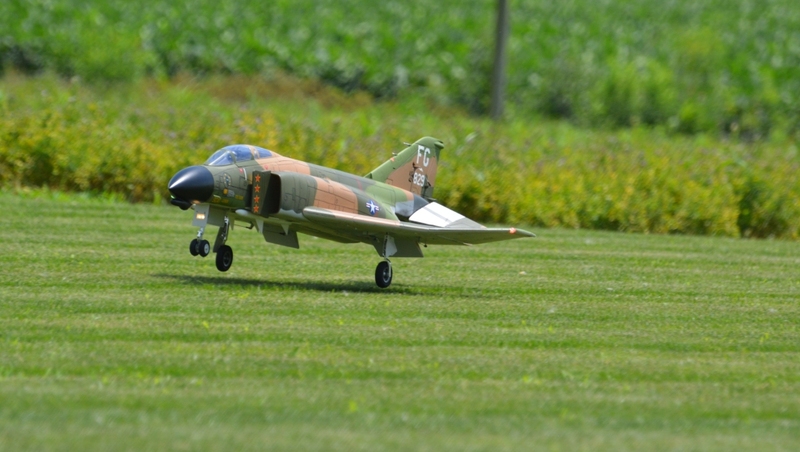 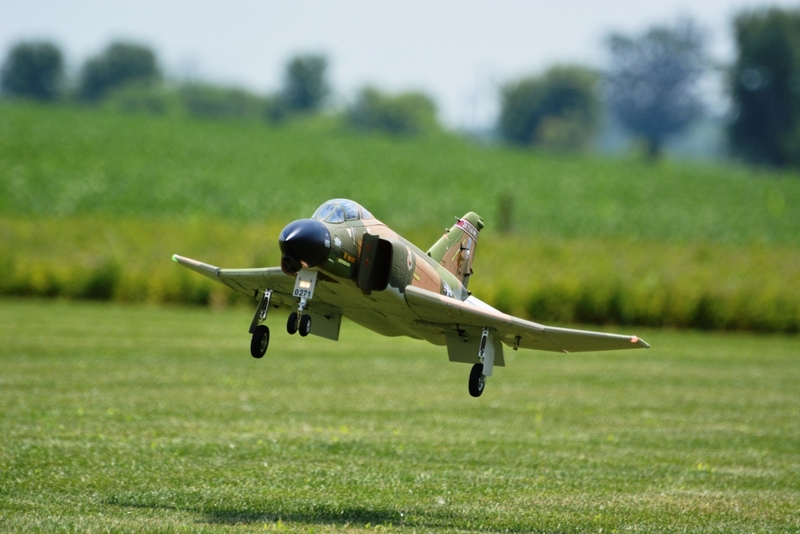 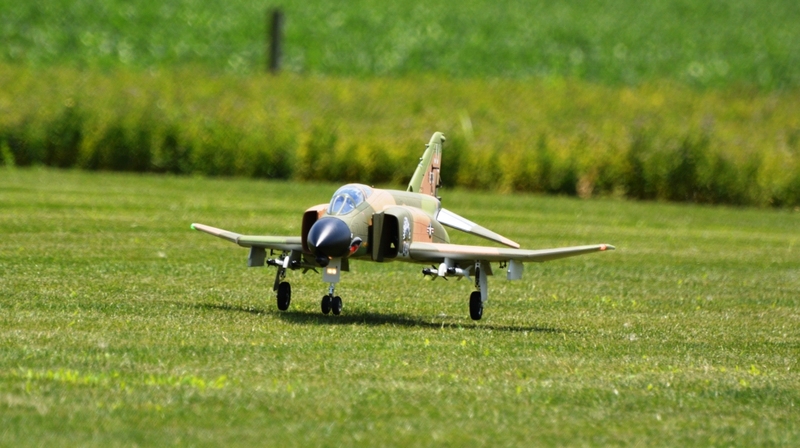 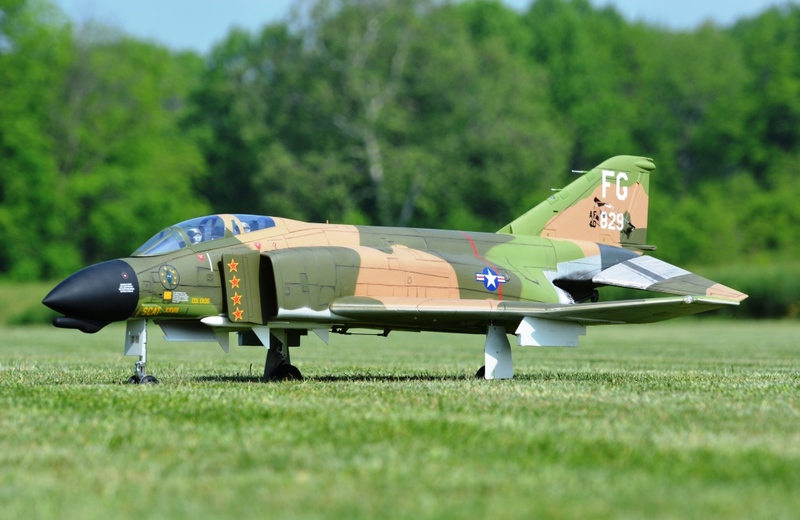 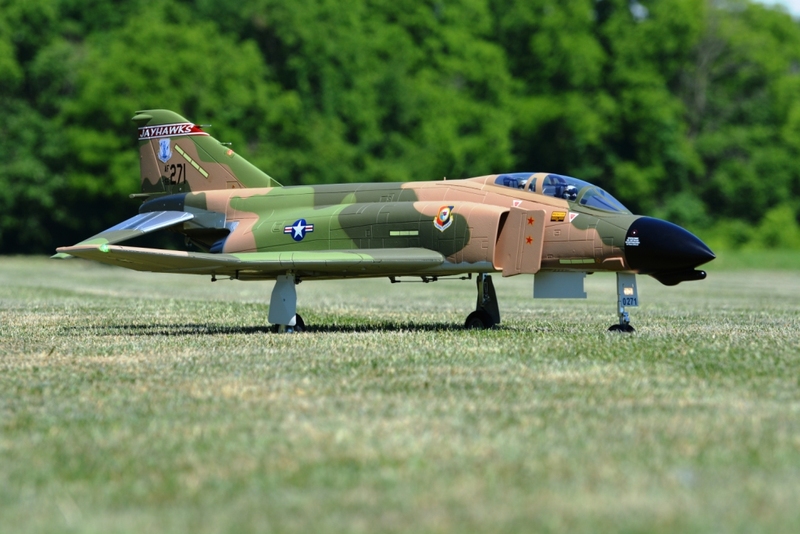 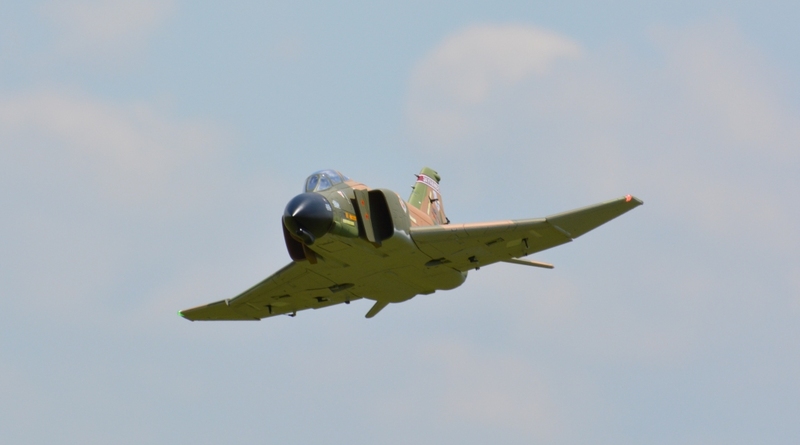 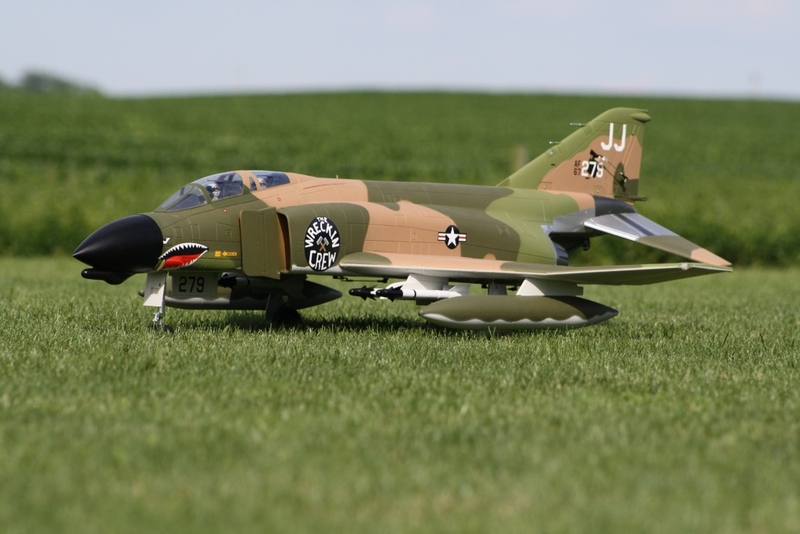 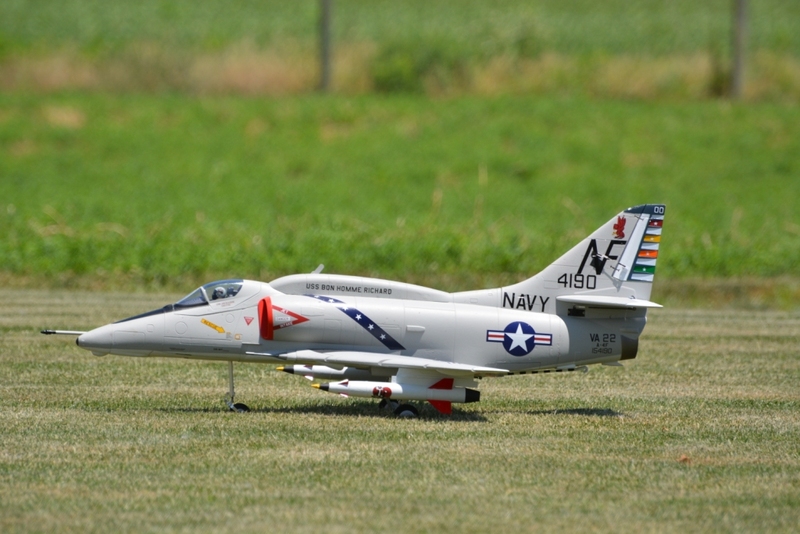 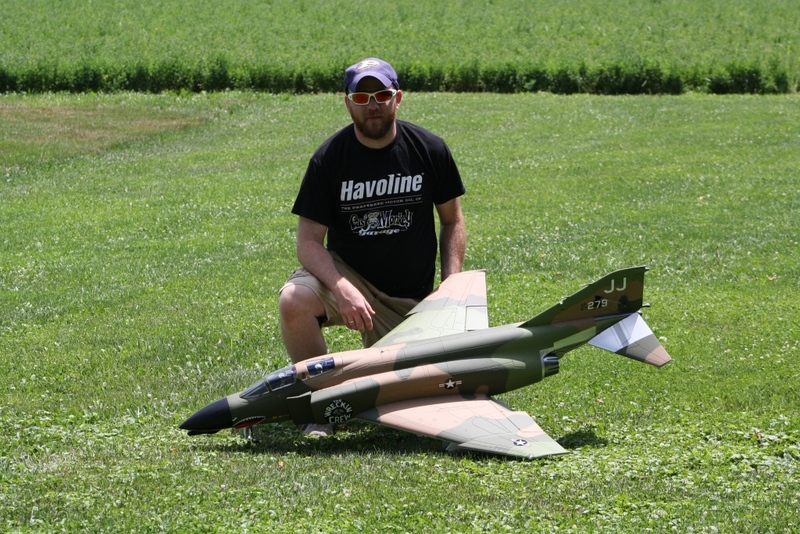 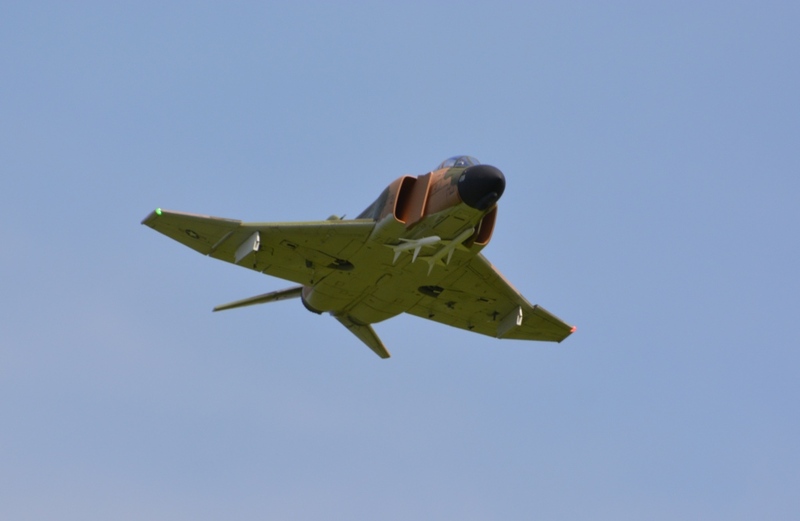 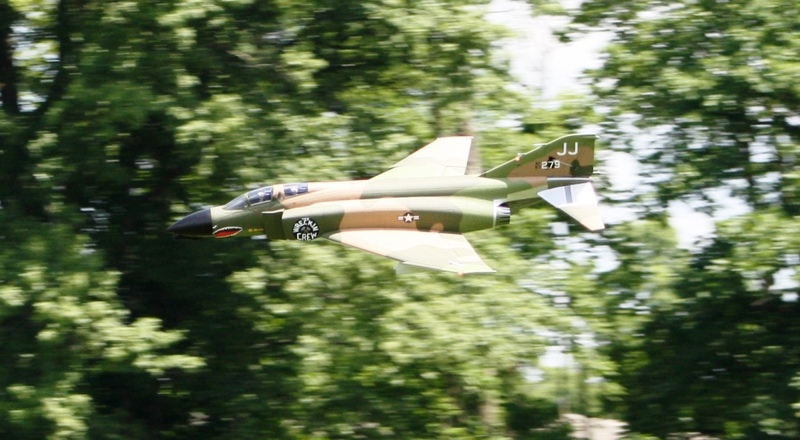 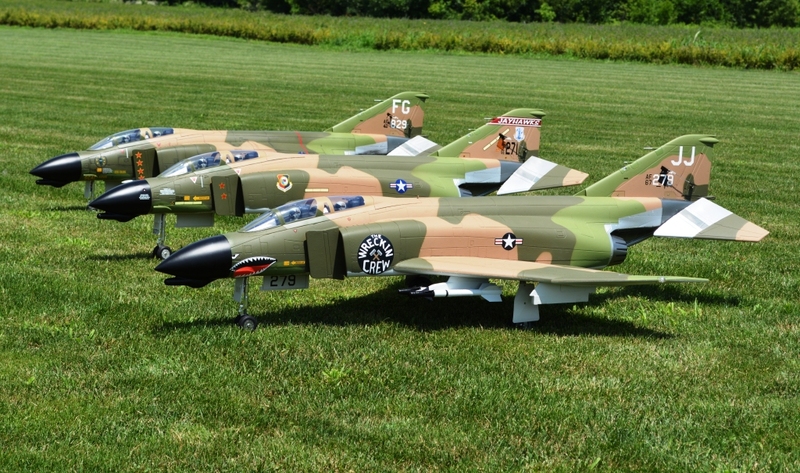 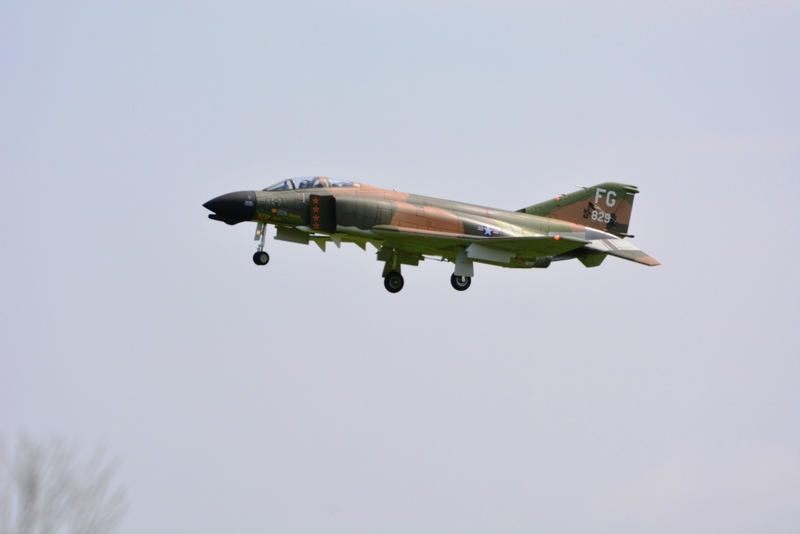 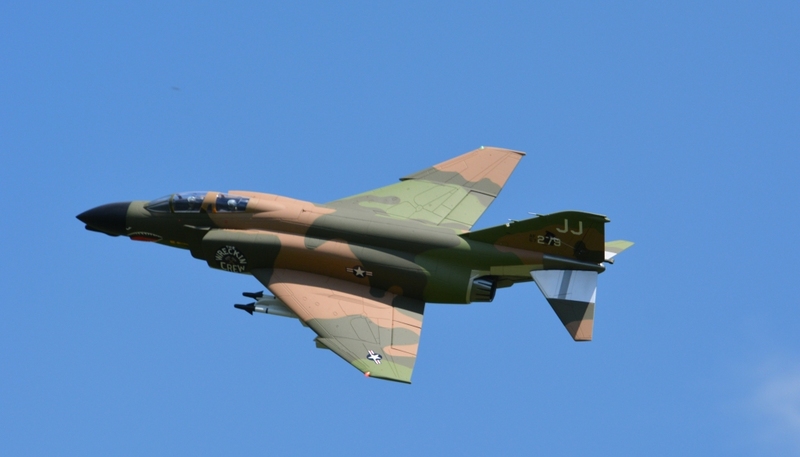 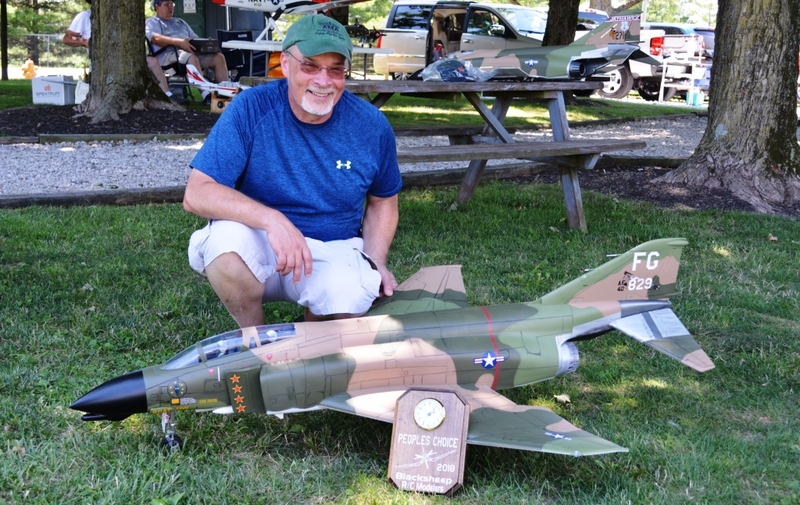 People's Choice was Bryan Baumer's Freewing F-4 Phantom with lot's of weathering and other surface details. 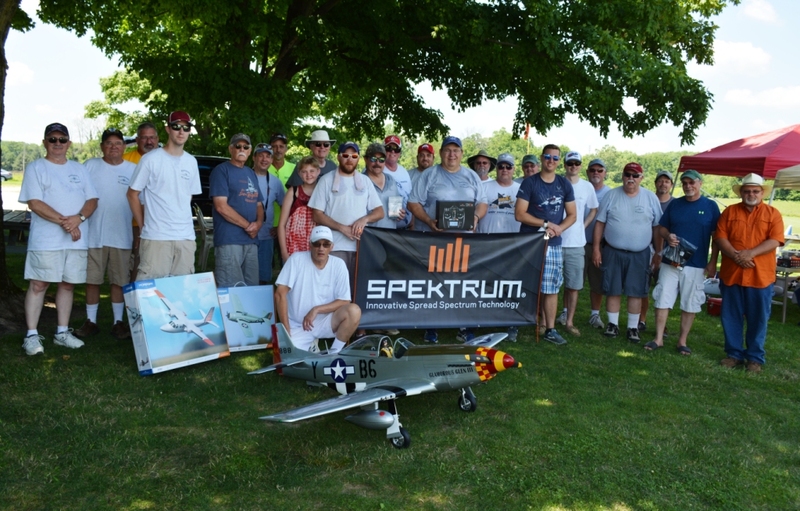 Every registered pilot was the recipient of a prize donated by our sponsors, which included a DX8E radio, a couple AS3X 6 channel receivers, tee shirts, hat and two micro planes from Horizon Hobby and Spektrum. 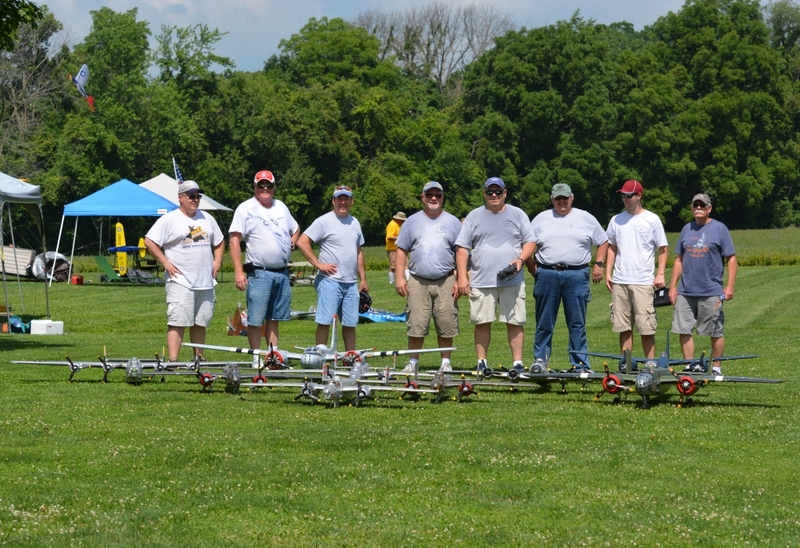 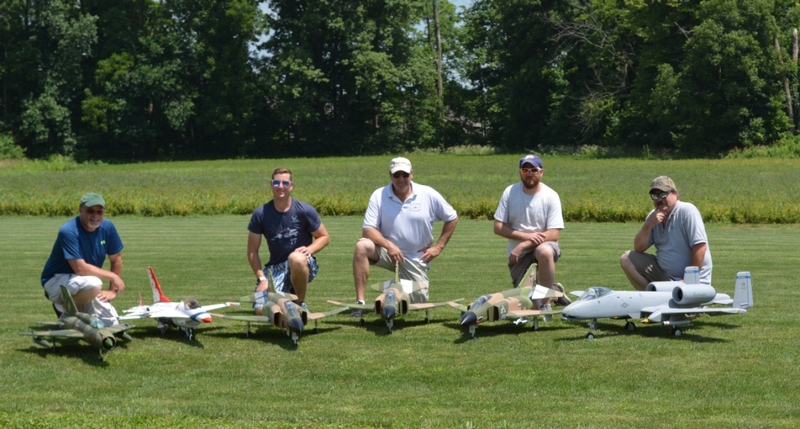 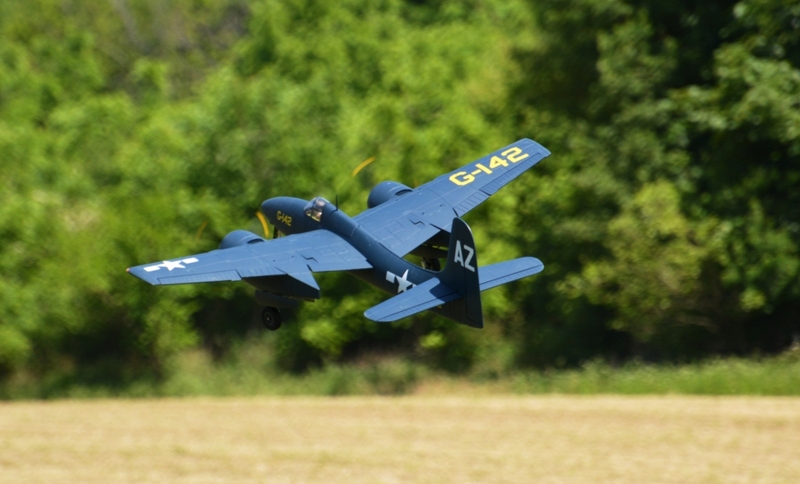 We also had 4 UMX planes and an Eindecker 46 kit for the raffle to support the club; Brian Martin - UMX Aerocommander, Brian Aimer - micro Spacewalker, Tom E Hatfield - UMX Timber, Joe Miller - UMX Wildcat and Paul Wycoff - Eindecker 46 kit. 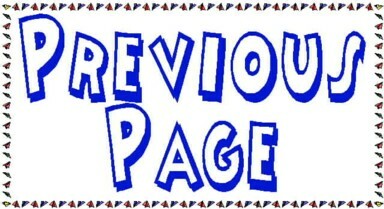 Click on the thumbnails below for a larger view. 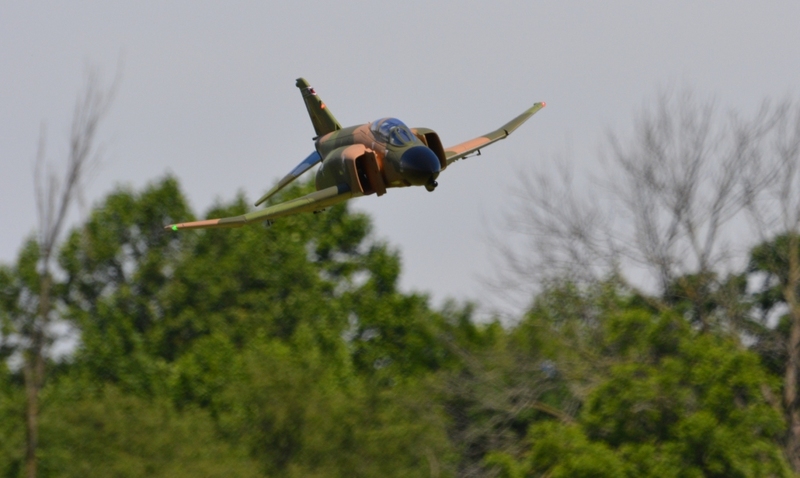 More photos will be added as I receive them. 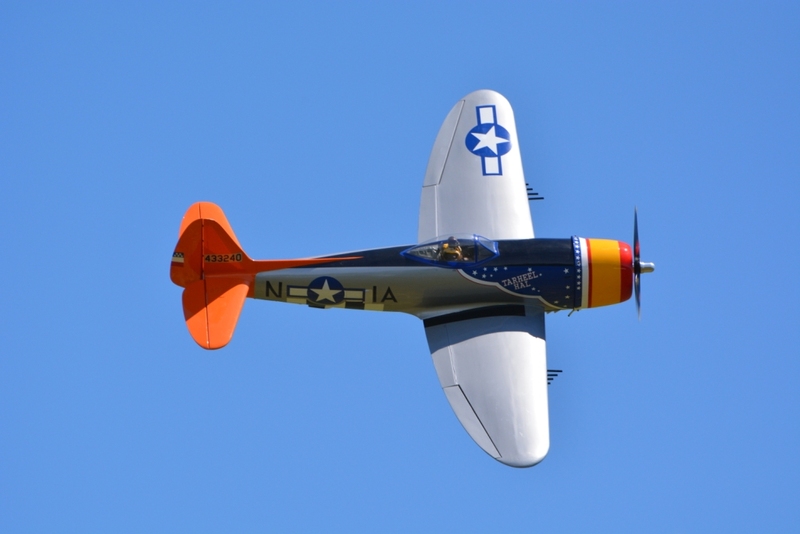 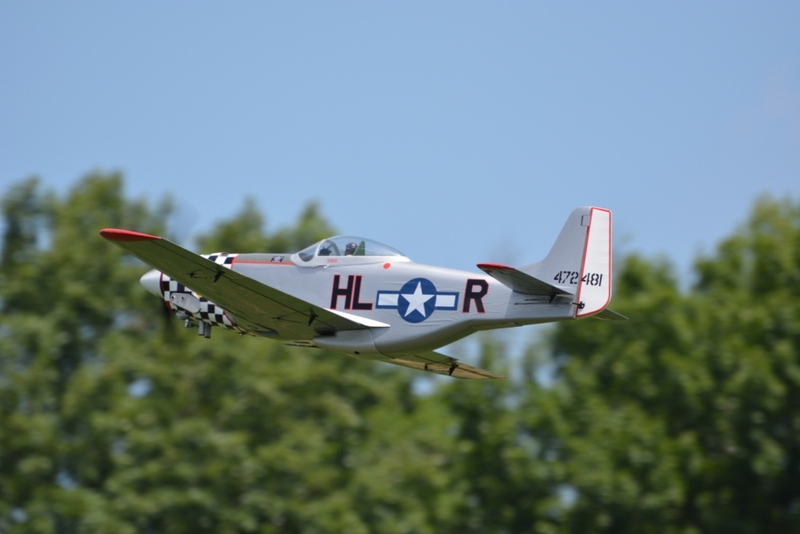 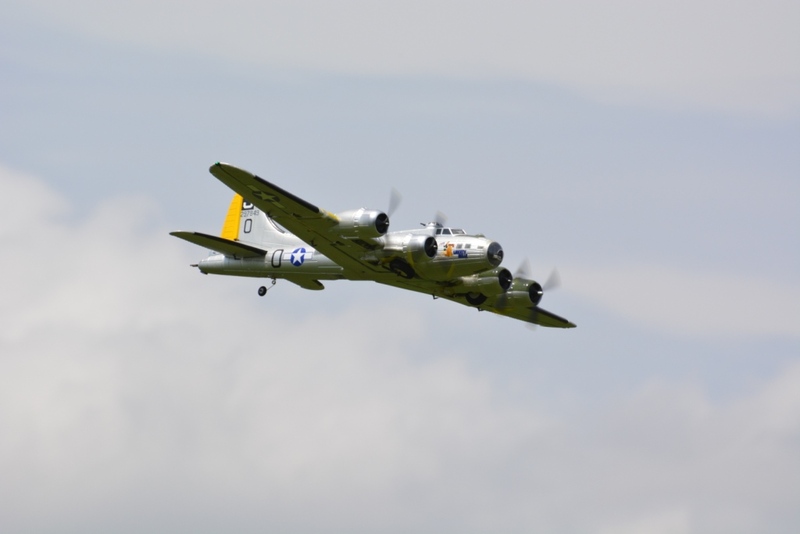 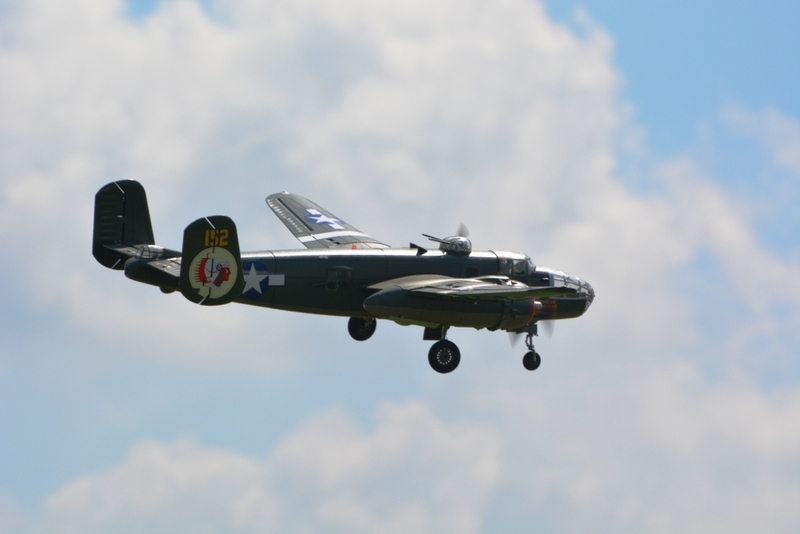 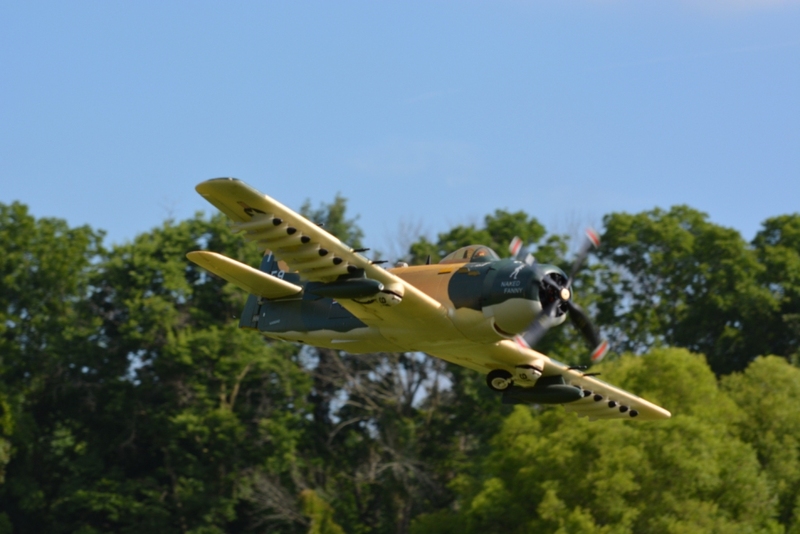 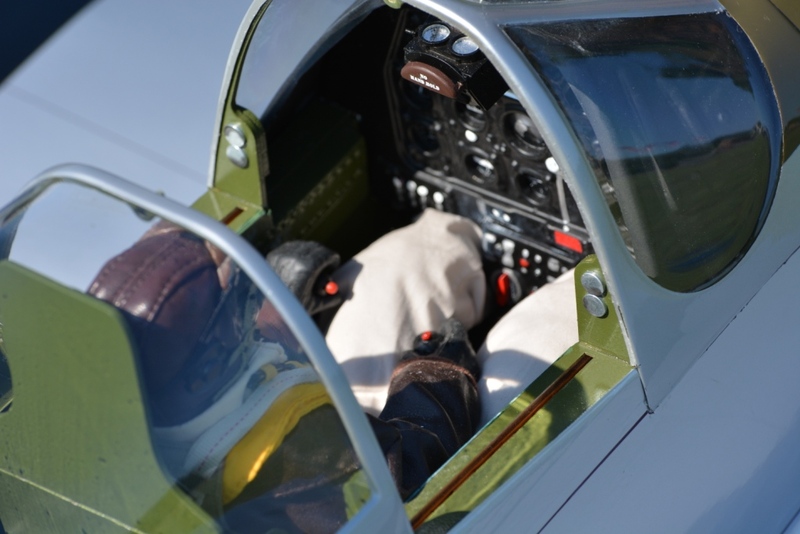 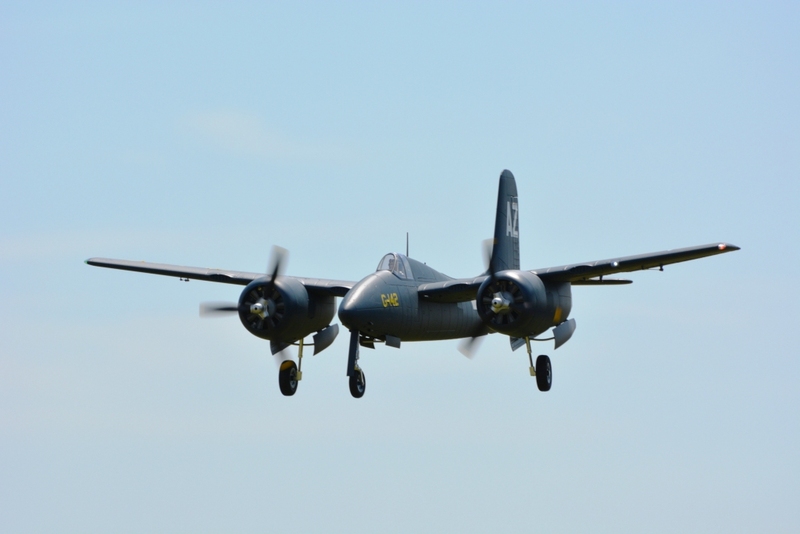 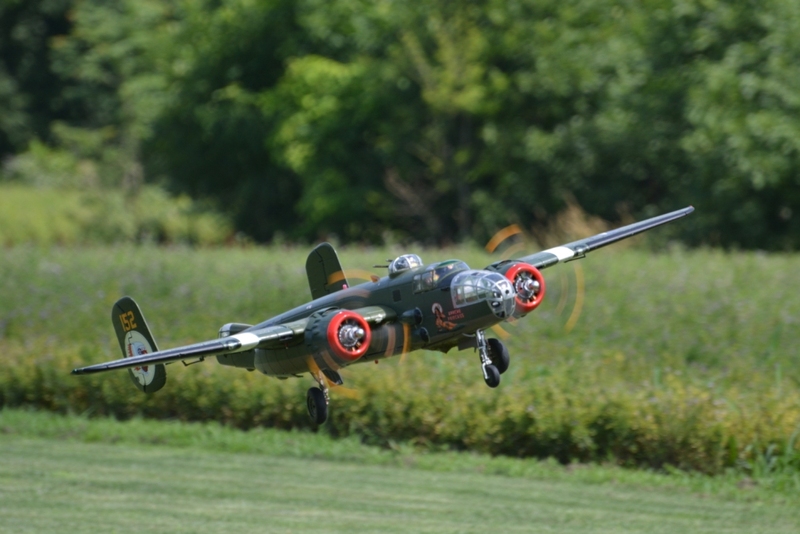 Be sure to mark the last Saturday in June next year for our 12th annual Warbird Fly In. 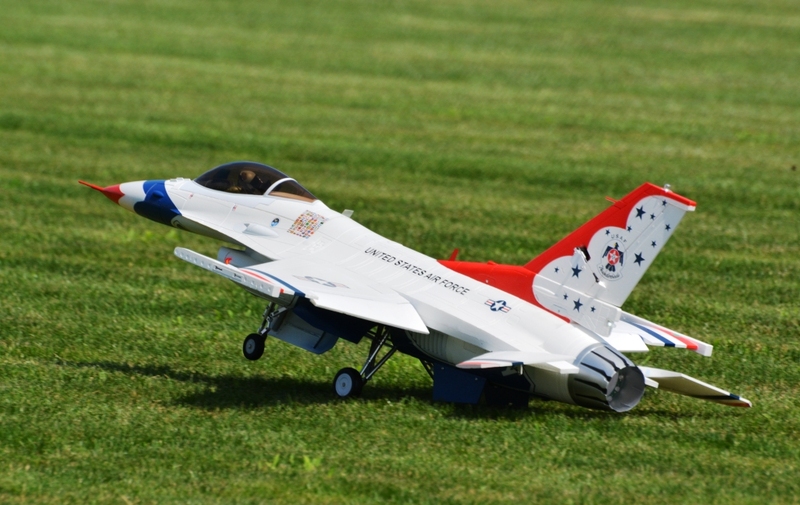 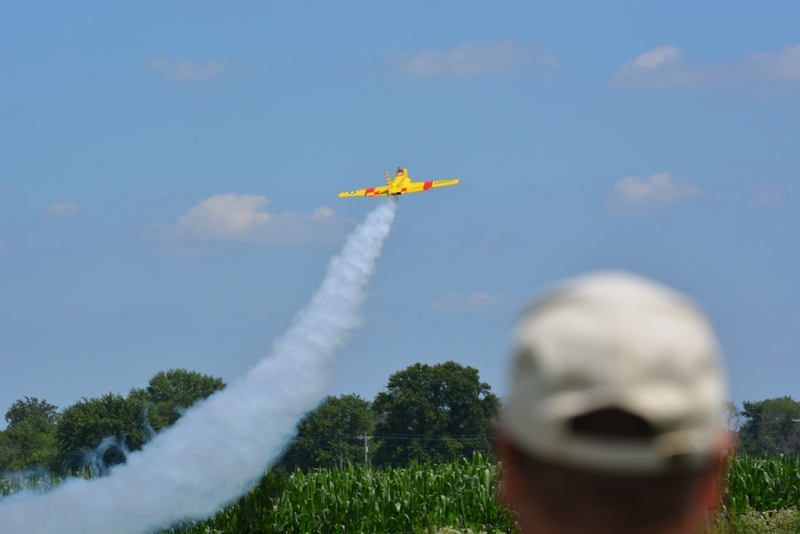 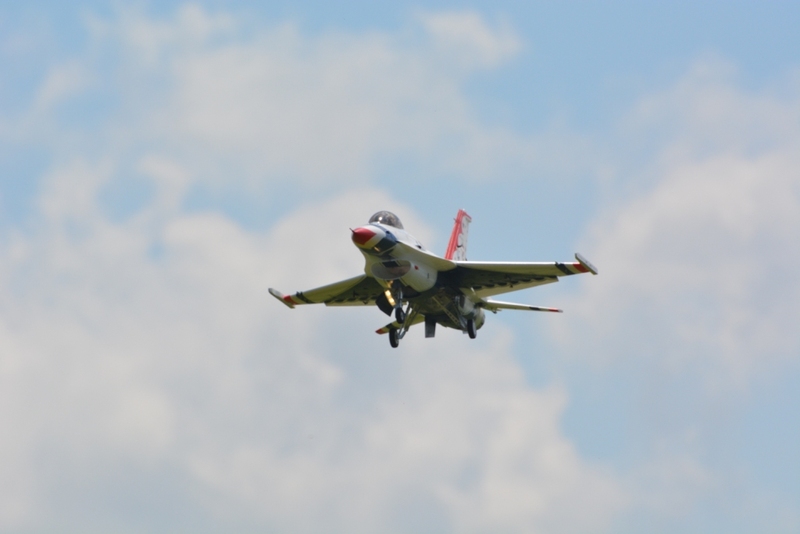 Don't forget our NMAD rc airshow to support Hoosier Veterans Assistance Foudation on Saturday August 11th. 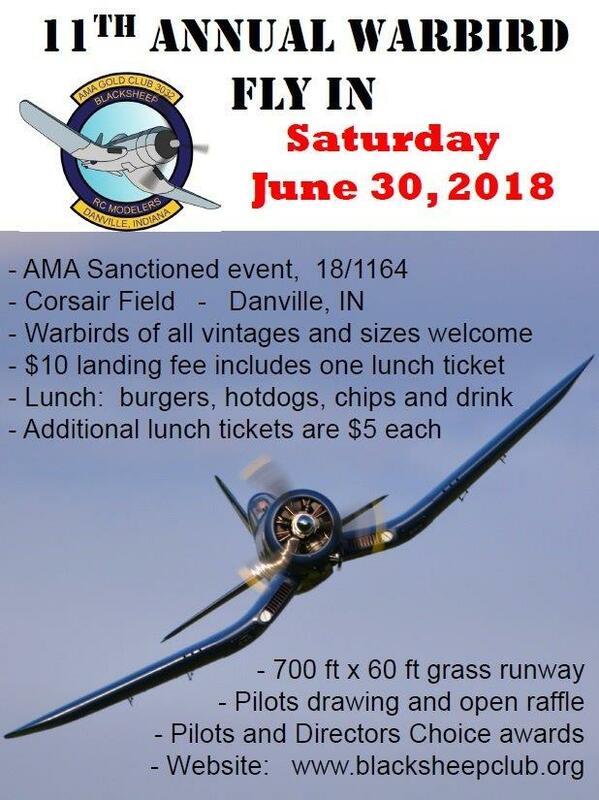 And please support our event sponsors.